If you’ve ever dreamed about cooking like or becoming a professional chef, you’ve come to the right place. Hosted by Chef Jacob Burton, an executive chef by day, wanna be broadcaster by night, we feature instructional style episodes that unpack professional level cooking techniques in an approachable fashion, and interviews with culinary taste makers, including chefs, cook book authors, wine makers, brewers, coffee roasters, and anyone else who is passionate about the world of food and beverage. High Volume Execution in a restaurant setting. 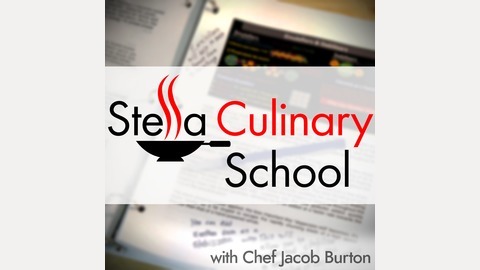 Leave Chef Jacob a voicemail to answer on an upcoming podcast. 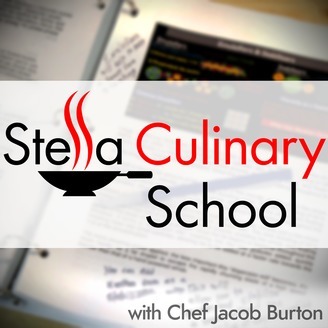 Join the Stella Culinary Facebook Group. Nagmoi Japanese knives (use code word Jacob on checkout to get free engraving). Nutrimill Artiste, the mixer for every maker.